Halloween and How It Started | Fun facts and more! It’s all just a bunch of Hocus Pocus, or is it? Around 2,000 years ago, on October 31st, the Celts celebrated with a festival called Samhain (pronounced Sow-in). This festival was a celebration of the end of the sunny summer season and the start of the gloomy, cold winter. They would light bonfires and wear outfits of skins and skulls from animals. Also, they believed that on the 31st those who had passed on were able to return to earth for one night. These outfits and bonfires would aid them in connecting with the dead. When the Roman Empire took over the Celtic land, their festivals became combined with the Celts. All Saints Day and All Souls Day were two Catholic festival days that honored the dead. All Souls Day, celebrated on November 2nd, consisted of nearly the same rituals as Samhain. All Saints Day, celebrated on November 1st, also went by the names of All-hallows and All-hallowmas. It is because of these names that All-Hallows Eve, which gradually became known as Halloween, was celebrated on the 31st. The night before All-hallows. Halloween in America as it is known today started a little differently. Mainly due to religious factors. It wasn’t until the late 19th century that it grew more widespread. It became more celebrated by many children and adults over the years. This was because of the multitude of immigrants that came to America during that time. The roots of American Halloween were taken from the Celts, predominantly the dressing up in costumes. At first, people dressed as different saints. This gradually progressed into frightening costumes that were intended to scare people. The connecting with the dead grew into trying to predict the future. Other activities include people bobbing for apples to find out who their spouse would be and looking into mirrors to try and see their future. 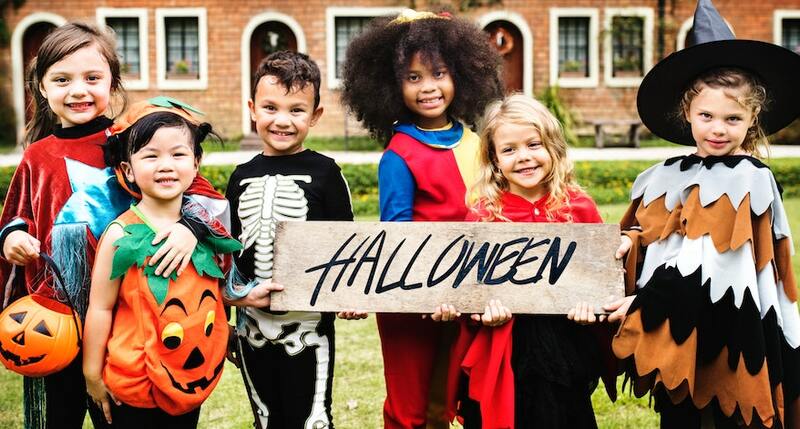 Trick-or-treating originated from when people would go around and ask for “soul cakes.” They would threaten that if they didn’t receive the “treat” they asked for, they would play a “trick” on the person. Candy eventually replaced the “soul cakes” as the given treat. It is said the spending for Halloween is expected to reach $9 billion this year. With 175 million Americans spending an average of $86.79 per person to participate. 95% on candy and 68% on a costume. Jack-O-Lanterns also evolved from Celtic folklore. There is a tale about a man named “Stingy Jack”. He asked the Devil to have a drink with him but then refused to pay. He tricked the Devil and made him promise that he would not take Jack’s soul. Later when Jack died, God refused to allow him into heaven, and because of his trickery, the Devil refused to let him into hell. He banished Jack to wander the earth during the night with only a piece of lit coal. Jack put the coal into a turnip that had been carved out to give off the light, thus creating the first Jack-O-Lantern. In Europe, people used various fruits and vegetables and carved frightening expressions into them. They believed these scary carvings would keep at bay the ghost of Stingy Jack and any other evil entities that would attempt to darken their doorways. In America, Pumpkins became the fruit of choice for carving. In 2013 Stephen Clarke carved a Jack-O-Lantern in 16.47 seconds. In 2010 Scott Cully carved the largest Jack-O-Lantern from a pumpkin that weighed 1,810.5 lb. According to a survey done by the National Retail Federation it is estimated that in 2018 people will spend an average of $87, amounting in $9 billion in all; the most money being spent on candy. A Full Moon on Halloween is not a common occurrence, the last one was in 2001, and the next will be in 2020. The Top 10 Halloween Candies in America are Skittles, M&M’s, Snickers, Reese’s Cups, Starburst, Candy Corn, Hot Tamales, Hershey’s, Tootsie Pops and Jolly Ranchers.